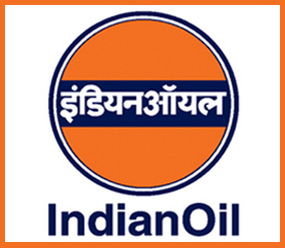 New Delhi: Indian Oil Corporation (IOC), the nation's biggest oil firm, Tuesday reported a net profit of Rs 2,523 crore in the June quarter after government and upstream firms made good most of its losses on fuel sales. It had reported a net loss of Rs 3,093.23 crore in April- June of last year on delays in payment of government subsidy. "The net profit was mainly because of a foreign exchange gain of Rs 128 crore in Q1 as compared to a foreign exchange loss of Rs 4,024 crore," IOC Chairman B Ashok told reporters here. Also, it gained Rs 745 crore from RBI currency swap window, Rs 348 crore from writeback on trust receivables and Rs 556 crore on savings in interest outgo on borrowing, he said adding these gains were partially offset by Rs 1,028 crore provision for tax versus nil in Q1 last fiscal. IOC lost Rs 15,328.34 crore on selling diesel, domestic LPG and kerosene at government controlled rates in April-June this year. The government made good about 40 percent of this by way of cash subsidy of Rs 6,076 crore. It got another Rs 8,107.21 crore from upstream firms like ONGC. Despite the timely payment of government subsidy and upstream dole, the company had to absorb Rs 1,145 crore of loss, Ashok said. Timely release of compensation led to reduction in borrowing to Rs 68,953 crore as on June 30 as compared to Rs 86,263 crore as on March 31, 2014, which led to saving of Rs 556 crore in interest cost. IOC earned USD 2.25 on turning on every barrel of crude oil into fuel as against USD 2.66 per barrel gross refining margin in the same period last fiscal, he said.